Pirates! In the Classroom. Our favourite school workshop. 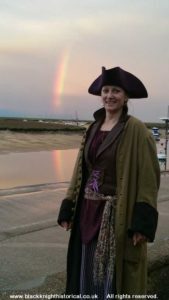 Our fascinating session on pirates explores their factual history, and how we’ve grown to love these criminals through those ‘heroes’ Captain Hook and Jack Sparrow. 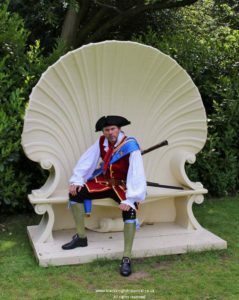 We encourage the children to dress up for the day, and we start with a surprise in Assembly, where the meet Cap’n ‘Calico’ Jack Rackham and Anne Bonney. A treasure map is produced and we all follow the clues, whilst trying to stay one step ahead of the Royal Navy! Swabbing the decks, and barrels o’ grog! 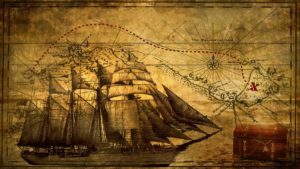 Landlubbers & salty old sea dogs. Cannons, blunderbuss and cutlass training. Singing sea shanties together as we row a boat or do hard work together. Hauling on ropes to raise the sails. Punishments on board, Walking the plank, Keelhauled, Floggings, Cat o’ 9 tails. 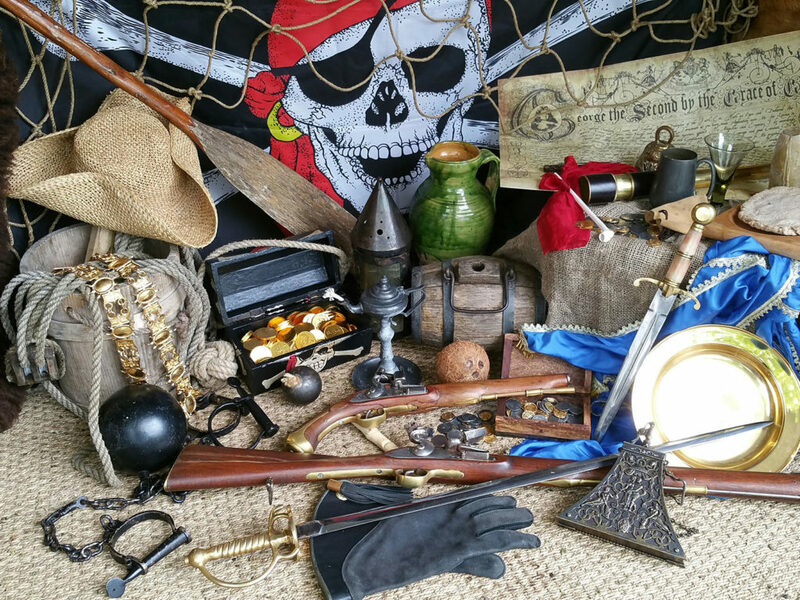 Treasure chests including Pieces of Eight & Spanish Doubloons.